The next Forge of Champions Open Tournament starts on the 26th of April. It’s time to sign up! 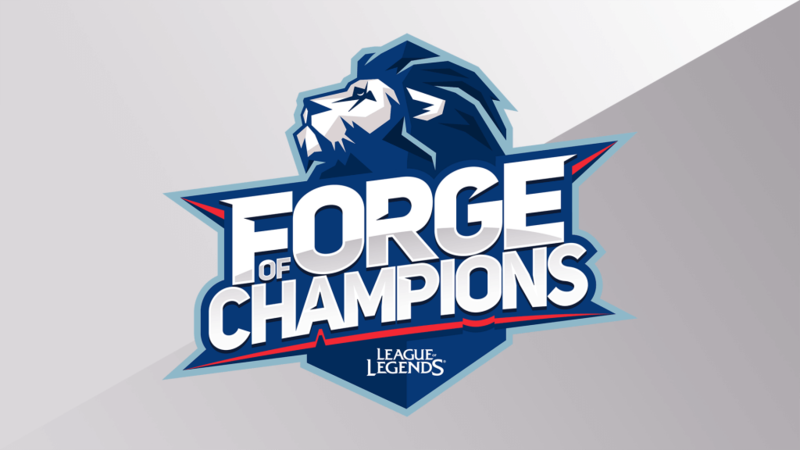 With the second Open Tournament for Forge of Champions starting on the 26th of April, the time has come to register for the tournament. Remember, if you didn’t qualify from the first Open, you can still play in the second! Sign in or register on ForgeOfChampions.com with your email address or Facebook account. Validate your email address through the link (make sure to check your spam folder)! Don’t forget to check in 1-2 hours before each tournament starts! Check-in for Open Tournament 2 closes at 18:10 BST, with the first round of games starting at 19:00 BST. Have an issues or questions with registration? Head over to our community Discord or pop us a message on Twitter and we’ll aim to get back to you as soon as possible. Copyright © 2018 Riot Games, Inc. Riot Games, League of Legends and UKLC are trademarks, services marks, or registered trademarks of Riot Games, Inc. Copyright © 2018 Fandroid Entertainment, S.L.